Comfort Bikes are Fun bikes. Comfort bikes have light frames and components for easy pedaling, and are perfect for a relaxed rides around town or on the trail. Equipped with impact-absorbing suspension seat posts. Shorter top tubes for a more upright riding position. Adjustable upright flat or raised handlebars. Wider saddles with springs or gel. Wide tires for increased traction on non-paved surfaces. Lower bottom brackets for easier mounting/dismounting. 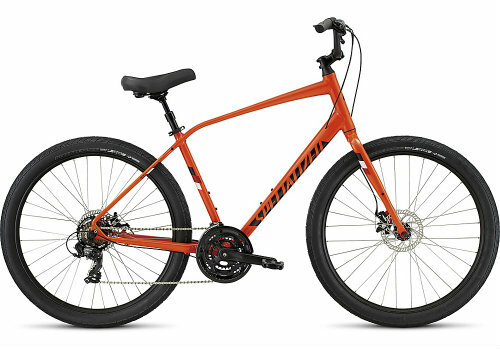 Comfort bikes have a mountain bike style frame, most commonly made of aluminum, that has been shortened to sit the rider in a more upright position especially good for the lower back. 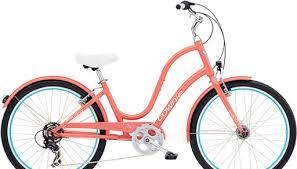 The Townie by Electra is designed to be easy, comfortable, and instill cycling confidence in any rider. The patented "pedal forward" design allows you to put your "feet on the ground" anytime the need arises. This frame design allows for an efficient, upright riding position giving you a better view, more comfort and control. The Townie is available in a men's & women's frames. This is the perfect bike for adding accessories because it offers easy access for your child trailer and rack. From the boardwalk to the park, it's all about looking good these days. 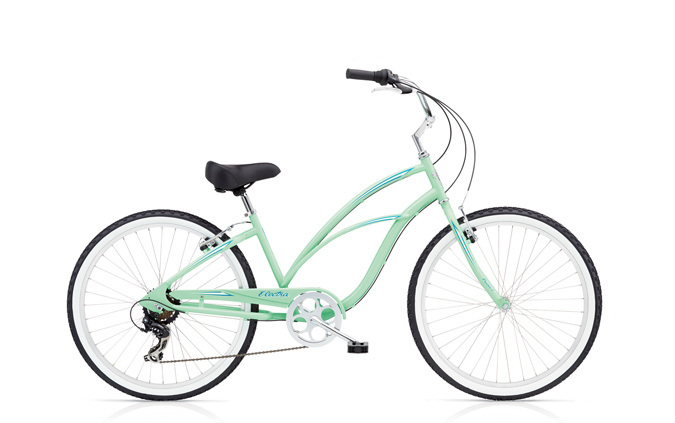 A Cruiser Bicycle is the epitome of style. The speed is moderate, the mood relaxed, it is a bike to see and be seen on. Fenders, baskets, and racks available. It's all about Electra Cruisers. We have a full range of comfort bikes with many options to choose from for both men and women at The Bike Shack.